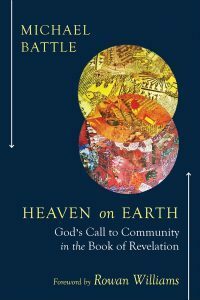 NEW YORK CITY: On Tuesday April 11 at 4:30pm, The General Theological Seminary will host a celebration to honor the launch of Michael Battle’s newest monograph, Heaven on Earth: God’s Call to Community in the Book of Revelation. Battle will offer remarks and be available for conversation and book signing. Published by Westminster John Knox Press, Heaven and Earth is a commentary on the book of Revelation and its relevance to building the Beloved Community, even amid contemporary global crises. 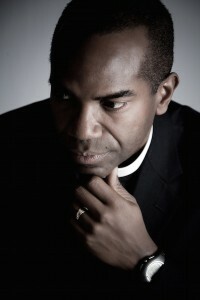 Michael Battle is Herbert Thompson Professor of Church and Society and Director of the Desmond Tutu Center at The General Theological Seminary. He is also the President and CEO of the PeaceBattle Institute. Ordained a priest by Archbishop Desmond Tutu in 1993, he was given one of the highest Anglican Church distinctions as Six Preacher in 2010. Located in the heart of New York City, General Seminary was founded in 1817. The mission of The General Theological Seminary—to educate and form leaders for the church in a changing world—has been a central focus throughout its long history. General seeks to be and to become a community in which ongoing and deepening conversion to new life in Christ is a constant goal. Our purpose is to invite and call others to that life of conversion by our own understanding of the Christian faith—biblical, historical and theological—and our ability to reflect on that faith, and convey it to others.